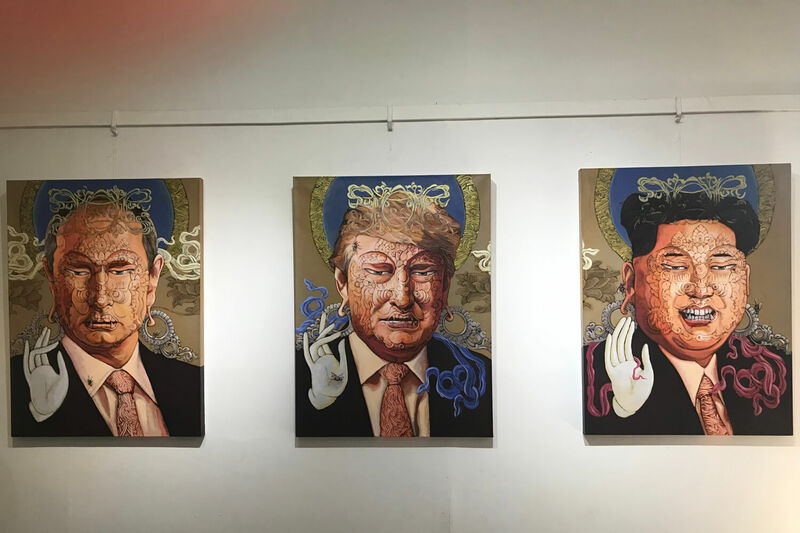 Two delightful exhibitions at Nepal Art Council this week gave art lovers much to rejoice, with great variety in theme and style. 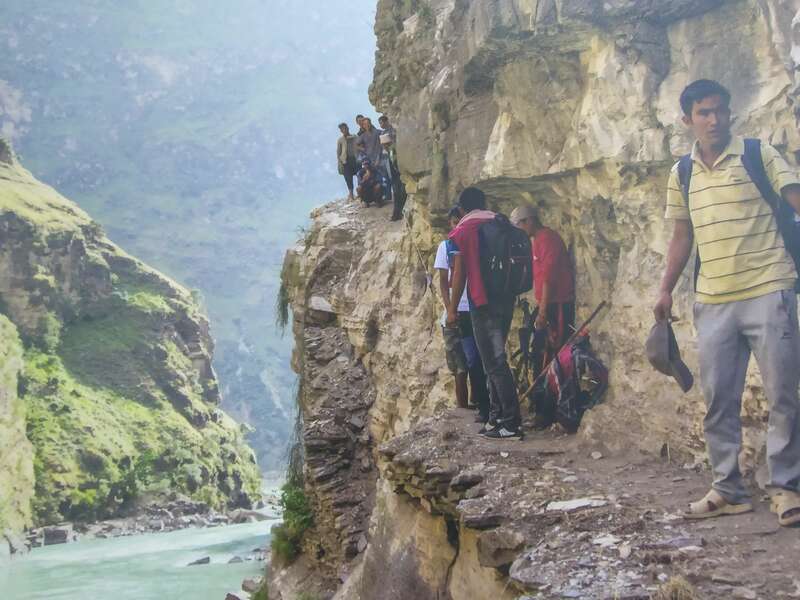 On the ground floor were photos from the Karnali corridor by Nabin Baral and Ramesh Bhushal, the result of a 44-day journey from the origins of Karnali to its confluence with the Ganga which was featured in this newspaper in February. 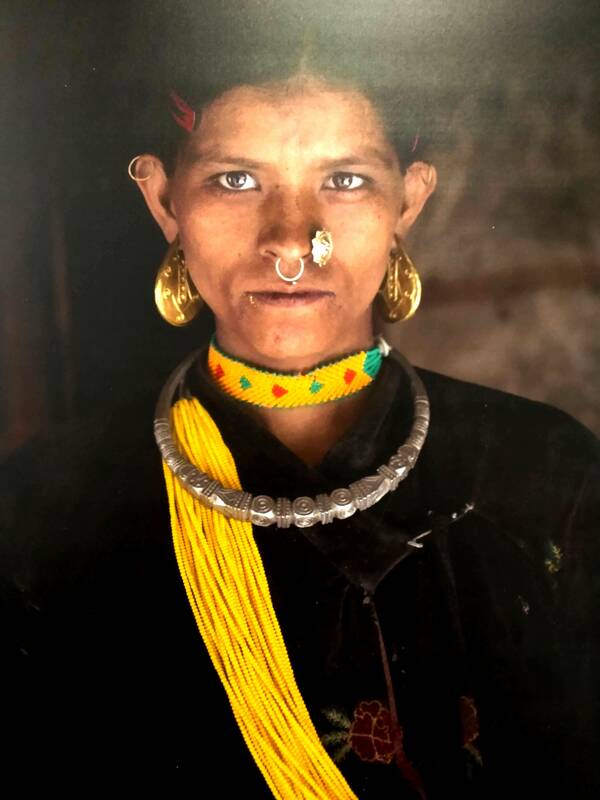 The photos reflect the diversity of life in this far-flung region from the mountain communities in the north to the Tharu villages in the plains. 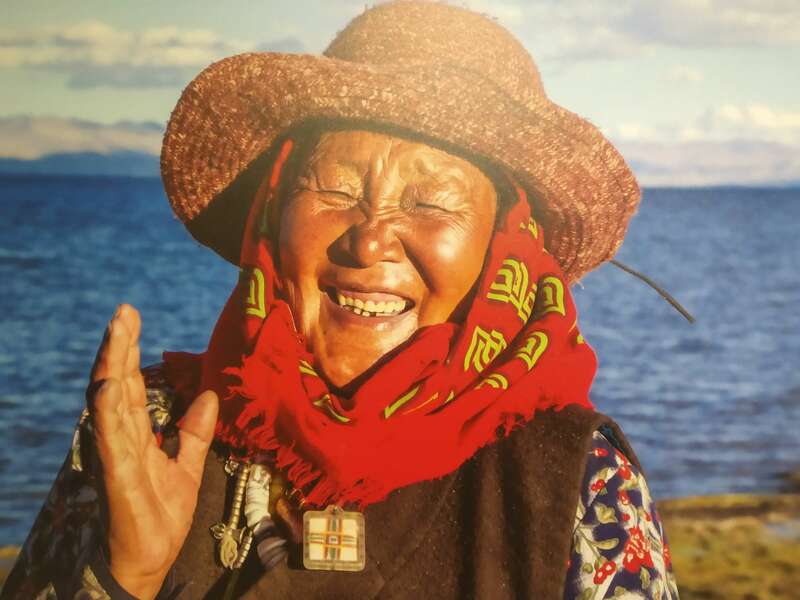 This exhibition reminds us that the Karnali provides sustenance to a diversity of people from salt traders and farmers in the north to Sonaha people who mine it for gold in the south. The portraits of people from different ethnicities are a testament to Nepal’s ethnic variety. 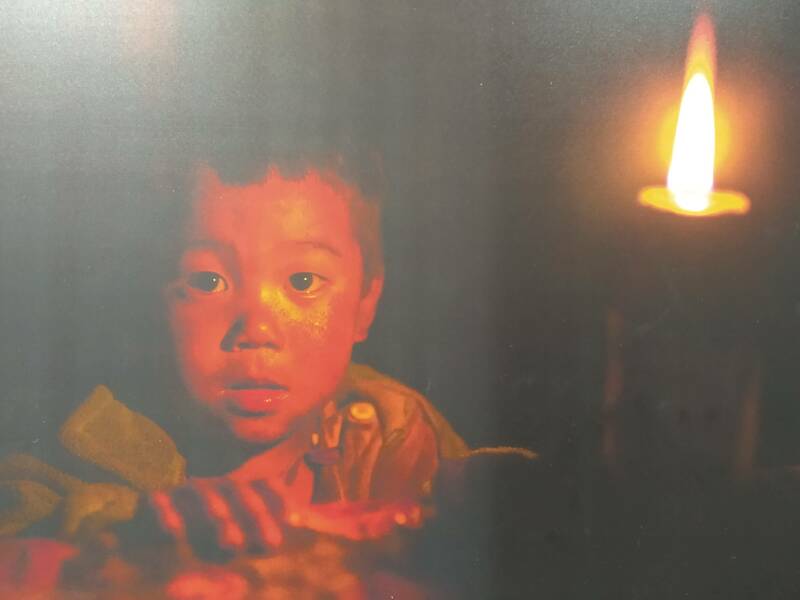 The exhibition is also a reminder of how remote and dangerous Karnali still is: people still crossing raging rivers hanging on ropes and precarious roads. The colours are also varied: from the barren browns of northern desert to bright greens of the rivers and the multi-hued clothes and ornaments of women. The elegant pyramid of Mt Kailash reminds of why it is deemed to be sacred. 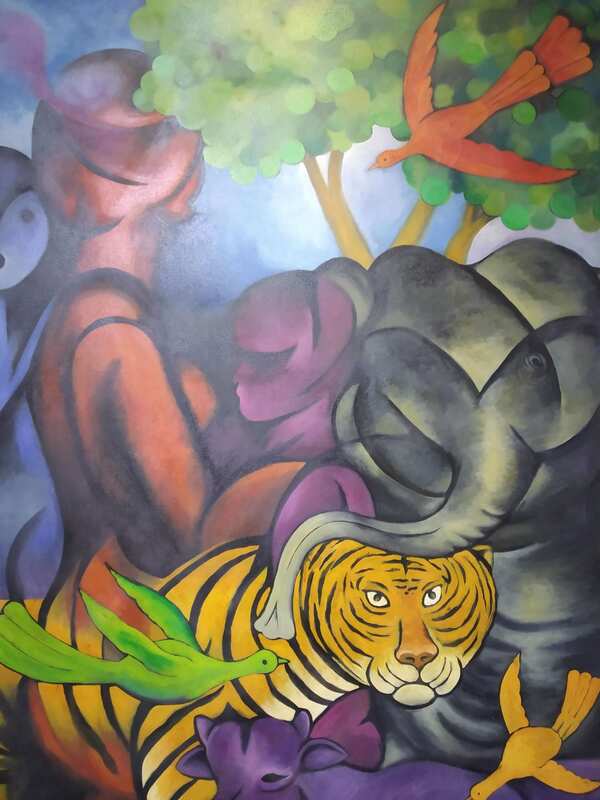 One floor above, switching gears completely this week, is the artwork of the late Uttam Kharel, a senior artist and one of the founders of Srijana College of Fine Arts. 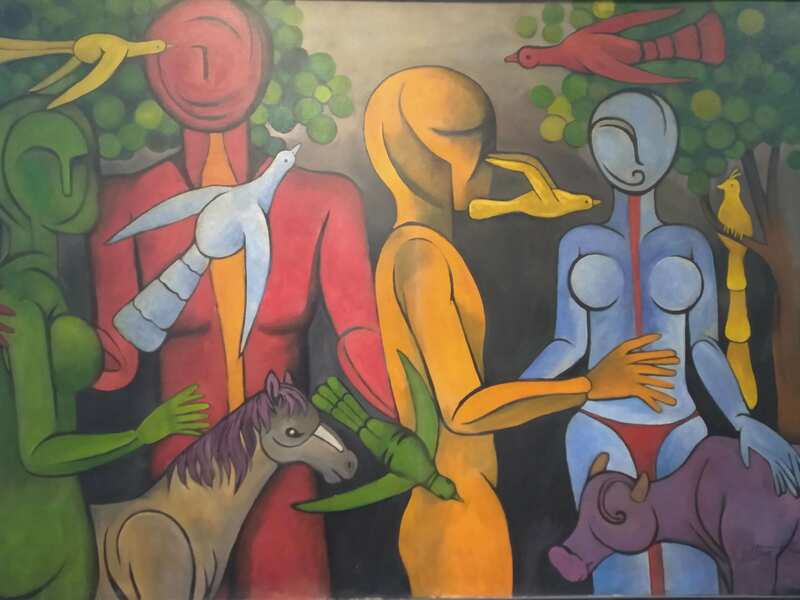 The exhibition is a retrospective of the works of Kharel who passed away in 2018. 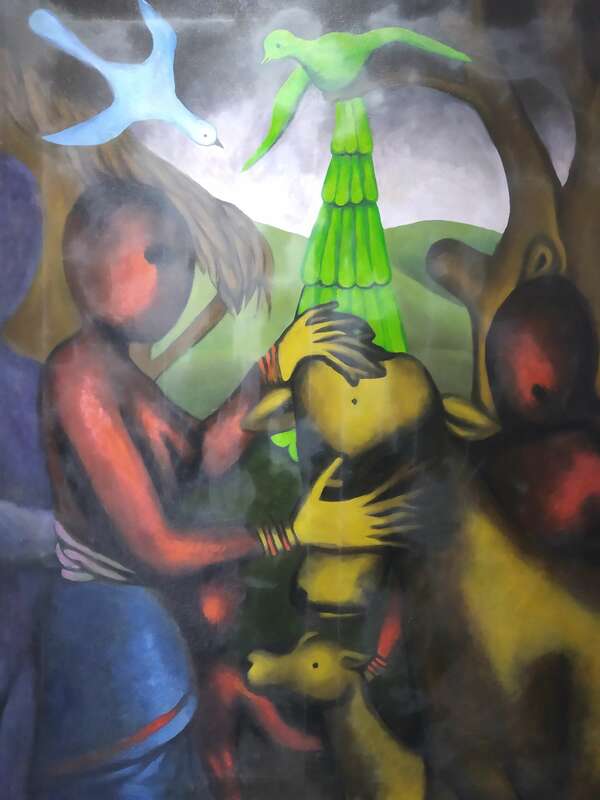 Kharel’s works present a heightened environmental consciousness where human beings interact with the world of animals. Kharel’s lines are smooth and tightly packed, invoking the intimacy between human beings and nature. Deep, saturated maroons, navy blues and bottle greens fill the frames giving the paintings a solid pesence. These paintings extract notice from the viewer, there is no ignoring them. Though Kharel became known for this style, there are also many other formats on display, like black and white sketches, abstract pieces, and little sculptures. 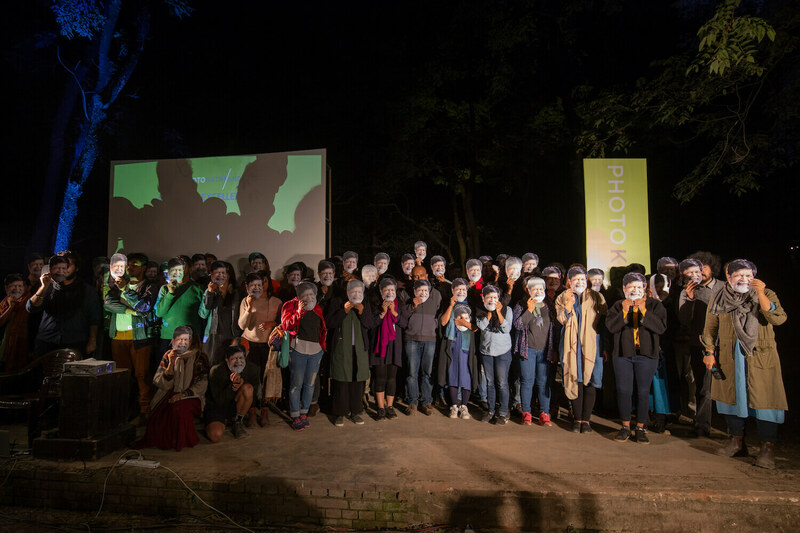 Together they represent a distinctive voice in contemporary art in Nepal, from a pioneer artist and art educator.